Strong like a rock: The Background System from walimex is characterized through its particularly high stability. 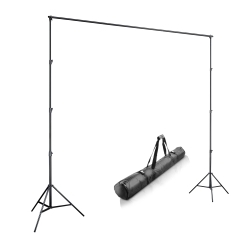 All five crossbars were produced extra-thick, so that they can carry even heavy cloth backgrounds without problems and without bending. 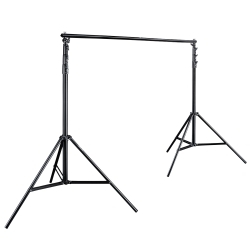 Also the two tripods contribute significantly to a secure and stable stand. Thanks to the air-cushioning, the handling is extremely easy and comfortable. 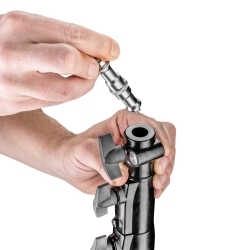 Flexible like you are: You can adjust the system very easily according to your photographic requirements. 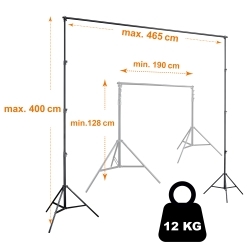 The five crossbars can be combined in any order and plugged together to a width of 190cm (two crossbars), 282cm (three crossbars), 374cm (four crossbars) or 465cm (five crossbars). 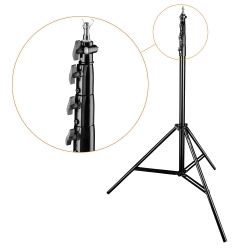 The height on the both tripods can also be adjusted steplessly up to maximal 400cm. 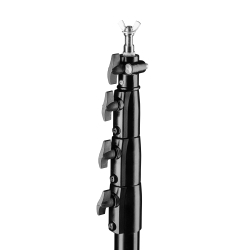 The lamp tripods also serve its purpose separately and can be used ideally for other uses. 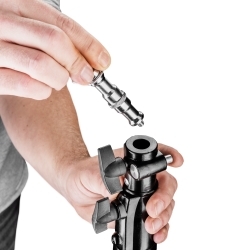 A changeable spigot makes this possible.